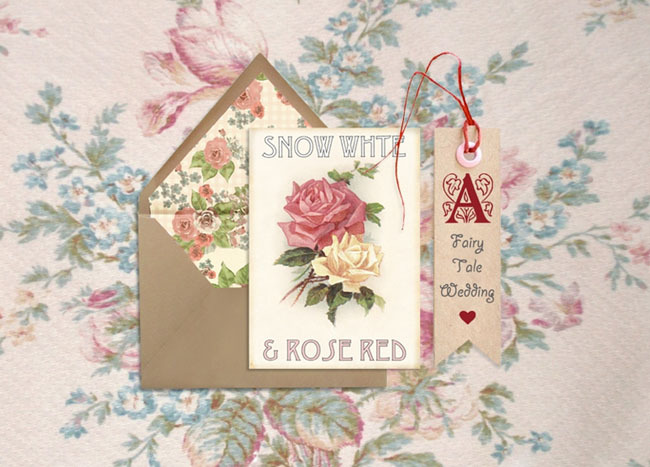 I know most of you are familiar with the traditional tale of Snow White, but have you heard of Snow White + Rose Red? 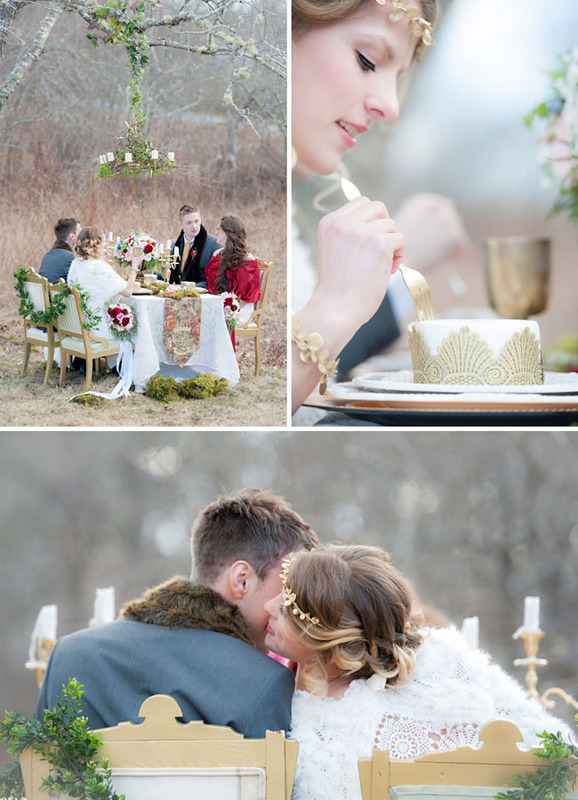 I hadn’t, so it was fun to read the story that inspired this absolutely gorgeous styled shoot! 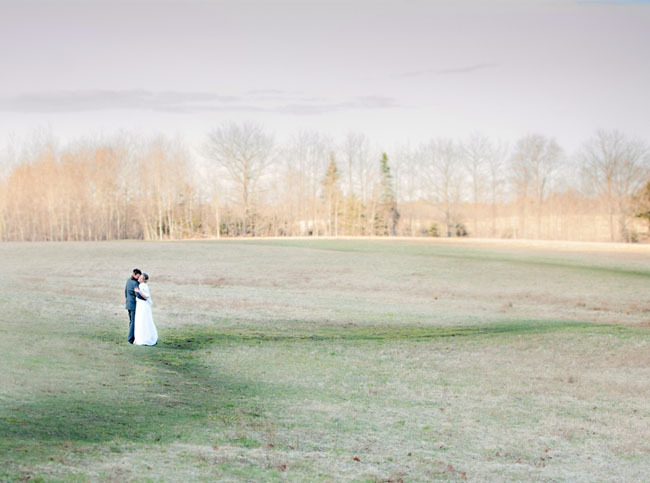 Based in Hallifax, Nova Scotia, the talented sisters behind this shoot, Candace + Gillian, really related to the fable, as they also fell for (and married) brothers! How awesome is that?! 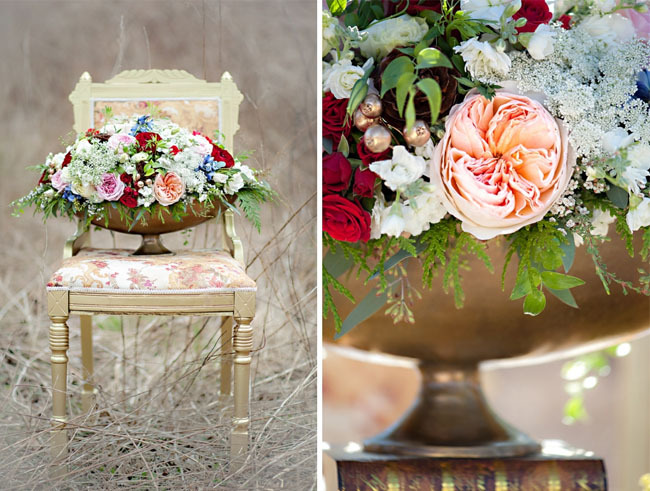 I am madly in love with the dreamy setting + stunning floral design by Chelsea Lee Flowers! 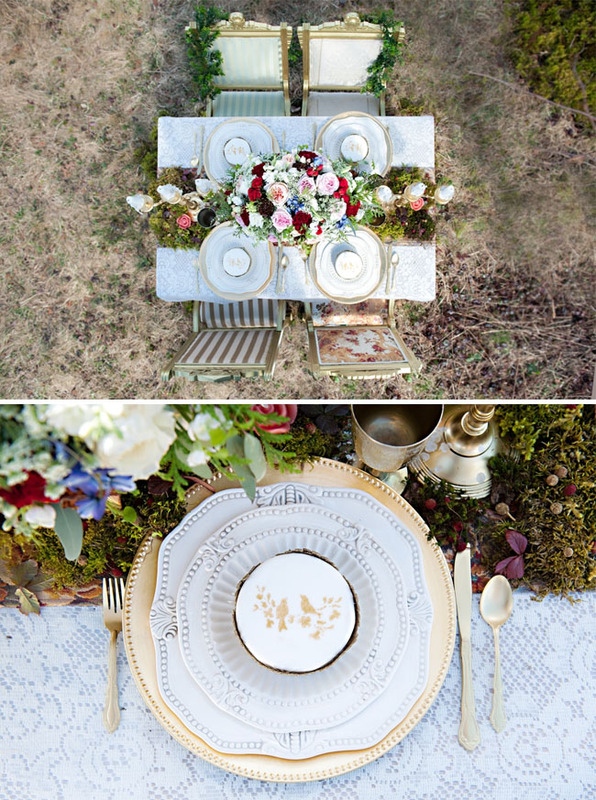 So many pretty details for you to be inspired by for your wedding. 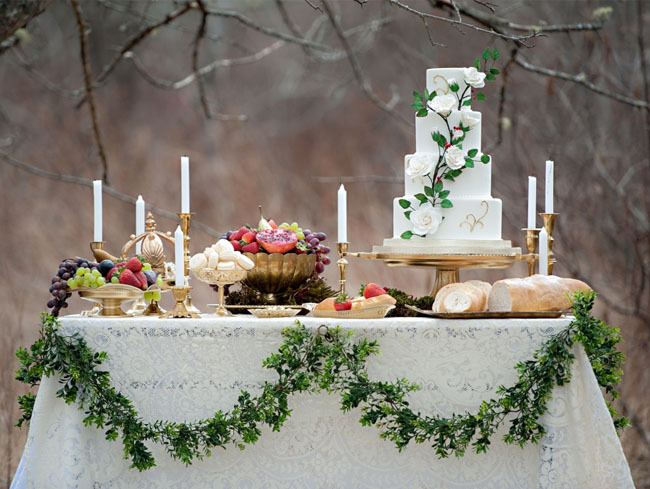 The moss runner + gold details throughout the tablescape are so pretty + I love the greenery garland decorating the cake table. And can you even believe this adorable lamb?! Such a cutie! Thank you so much to the talented creatives below for sharing their work with us today! 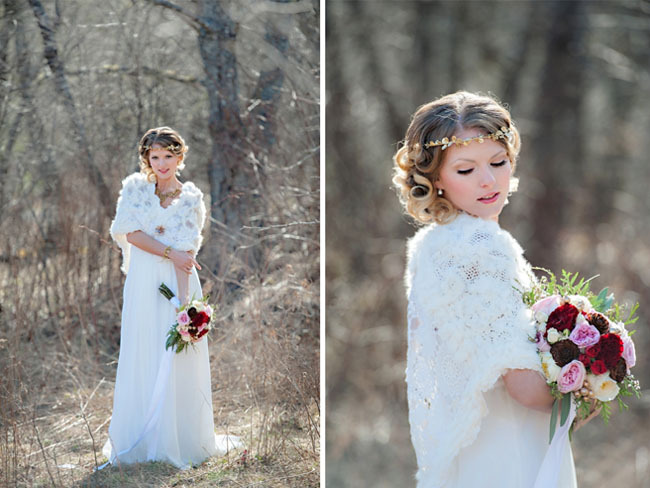 That rose cape/shrug is killing me with awesomeness! 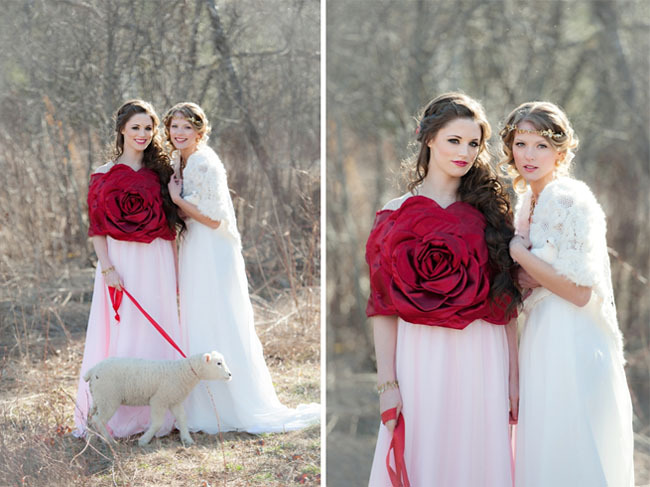 I had this story in a ladybird book as a child, but it was called “Snow White and Rose Red”, not “Red Rose”. 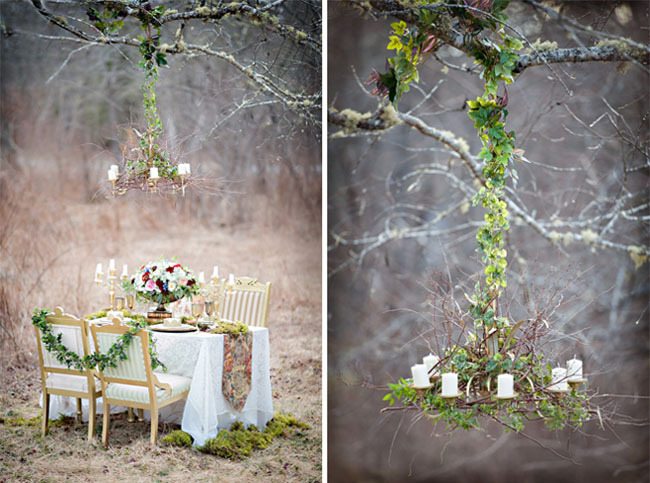 Nice to see a lesser-known fairytale get an inspiration shoot! 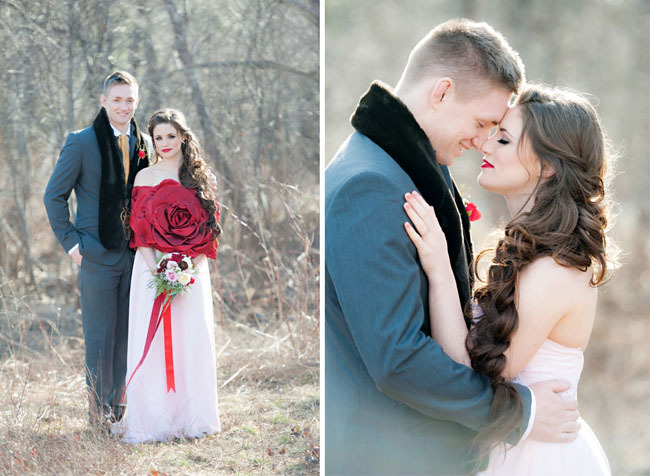 Love not only the shoot but the story behind it! 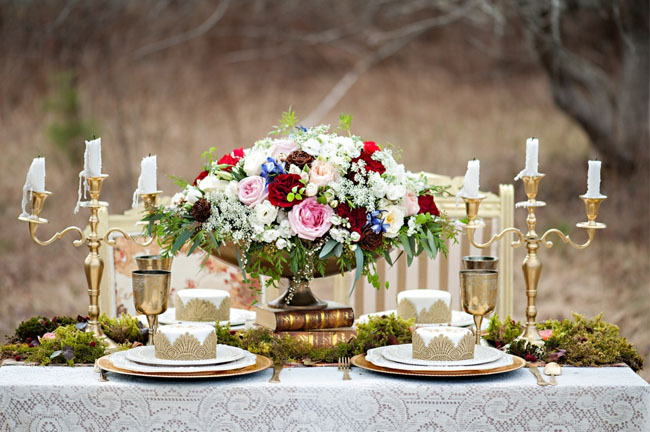 Way to make it personal and beautiful! 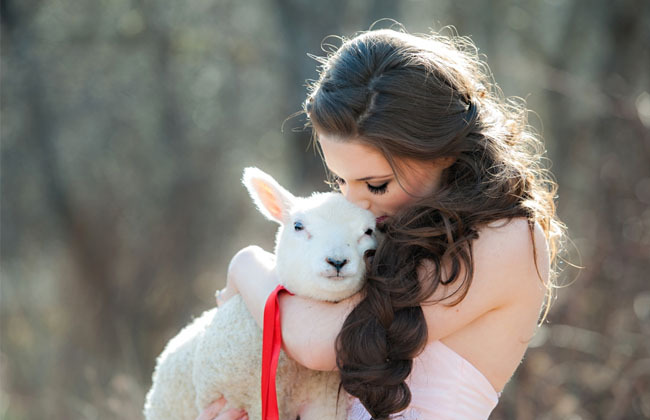 The lamb is so cute. 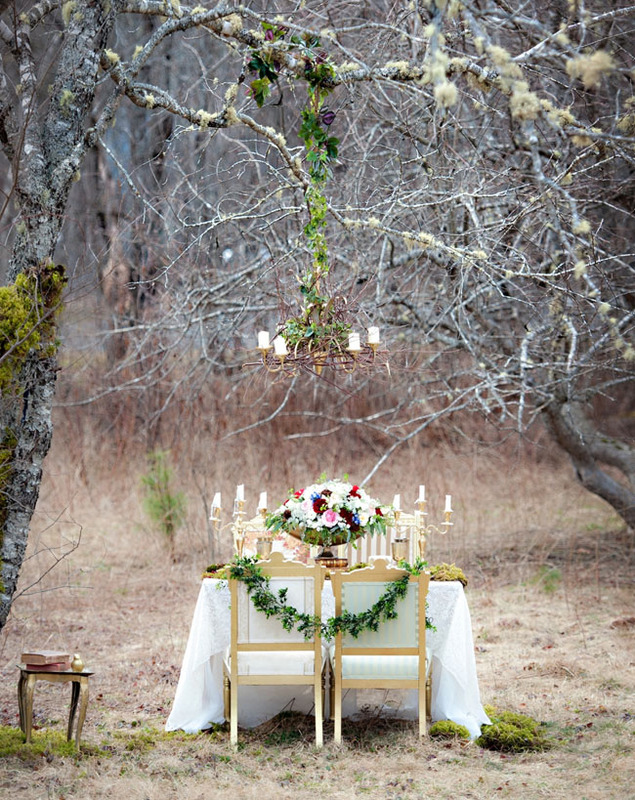 Beautiful wedding! This is stunning! 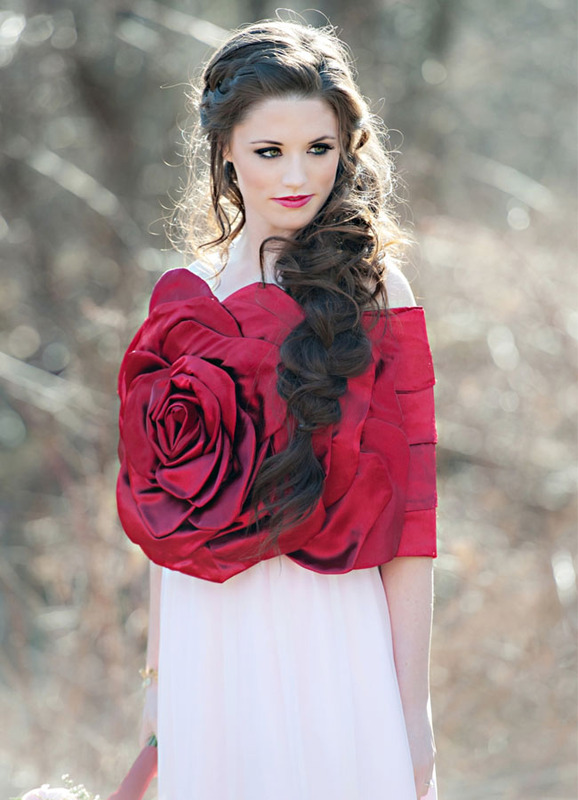 The rose shrug is gorgeous. Can you please tell me where this can be purchased please? Absolutely gorgeous. I love the headpiece that the blonde woman is wearing. Where can one purchase that? 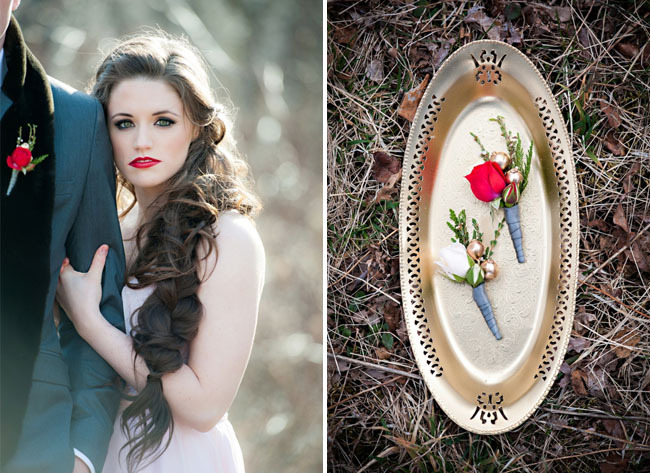 Also as a sidenote, I thought the ‘story’ the pictures were telling was that the two brides were marrying each other. Imagine my surprise when two guys show up out of nowhere! Ha! Anyway, I thought it would have been neat as a feature about two brides, especially since the dresses complimented each other so nicely.